KG Accountants are small business accountants based in south London who provide a wide range of accountancy services including completing and filing your tax returns, Accounts, payroll, bookkeeping and VAT at a reasonable price. Working with London Accountants KG Accountants, you can be rest assured that your self assessment Tax Return will be completed and filed on time. You are self-employed or a partner in a partnership. You are a Company director of a limited company. You’re a High Income Earner with more than one source of Income. You receive other income besides your employment Income. Your household receives Child Benefit and you have income in excess of £50,000. Tax Savings to ensure you pay the least tax possible. On average, we save our clients £1,000 just by utilising the allowable expenses and exemptions not to mention the time saved as well! Calculate your Tax bill and advise you how much and when it is due. 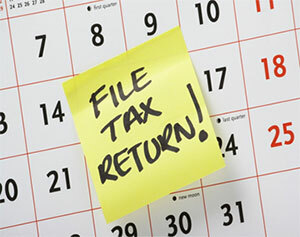 Complete and file your Tax Return. By giving you a fixed and competitive price, we can take the worry away when it comes to self-assessment tax returns; allowing you to concentrate on running your business.